Now we can buy them ourselves. One of companies most responsible for my cheery outlook on life (and my dwindling bank account) is American Greetings Entertainment. They’re the masterminds behind the Care Bears and as a baby of the '80s, I can’t remember a time when some incarnation of those colorful cuties weren’t appearing on television, in books, and on almost every type of product imaginable. For over thirty years these cuddly cuties have been coloring the lives of the young and young at heart and this year, is set to be it’s biggest and brightest yet. To kick off the year, the company launched "The Colors of Caring" campaign. 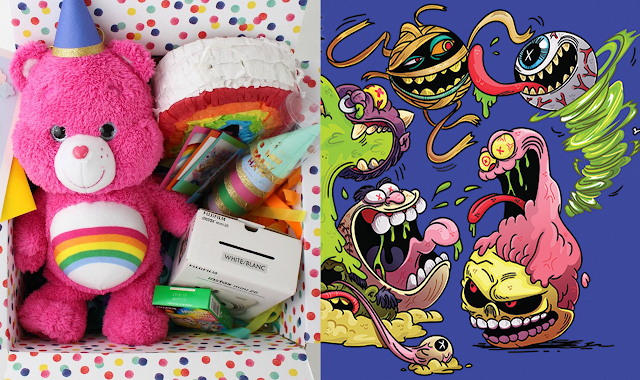 Partnering with different social media influencers to create custom care packages inspired by a particular bear’s color and belly badge, it’s an ingenious promotion designed to inspire fans to share and care with others. 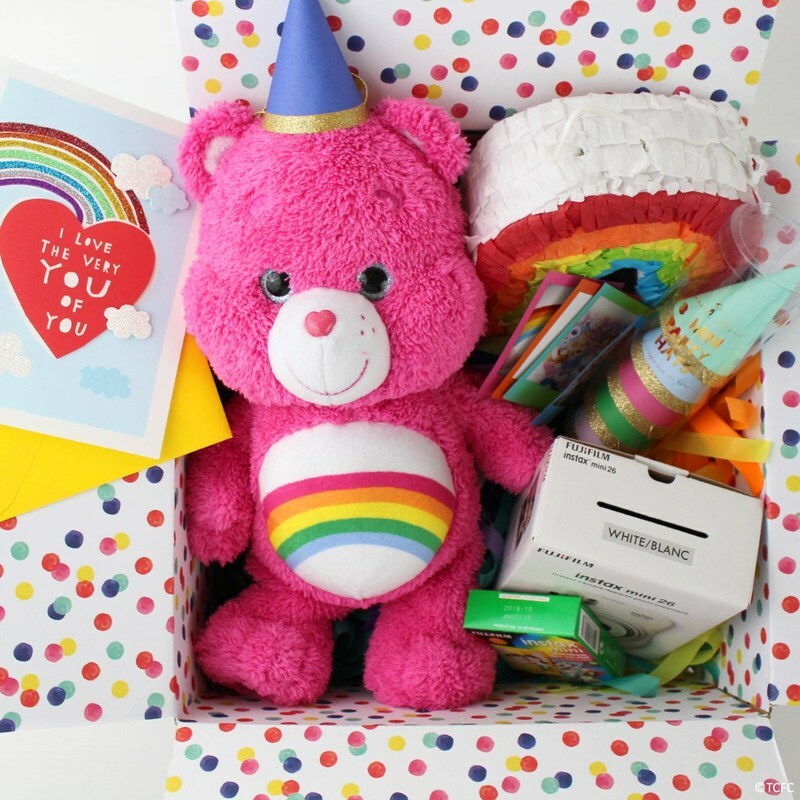 “We hope that these Care Bears and their messages inspire fans to create their own care packages so that all of us can authentically live the ‘Colors of Caring’ as well and help make the world a more connected and understanding place,” said the President of American Greetings Entertainment, Sean Gorman. Fans will have multiple chances to win the boxes through giveaways on official social media sites like Facebook and Instagram. 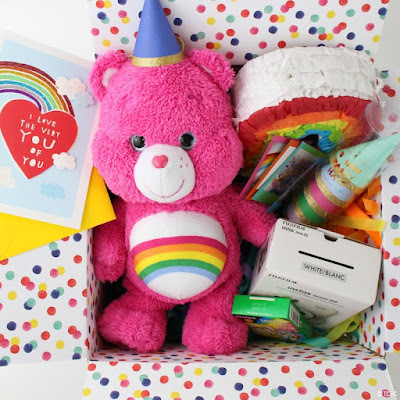 In addition to being cute, the Care Bears have always been highly collectible, so naturally it was only a matter of time before the wildly popular Funko company took a trip to Care-a-Lot. The initial wave of POP! 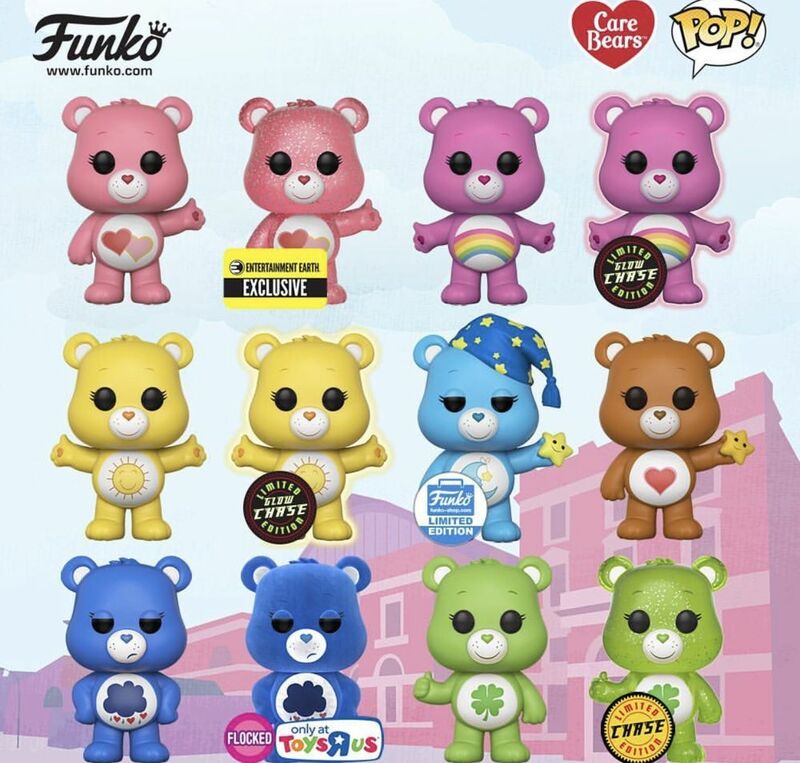 vinyl figures will consist of 7 original bears, Tenderheart, Cheer, Goodluck, Love-a-Lot, Bedtime, Grumpy, and Funshine. In addition to the standard releases, which are incredibly cute, there’s also several chase variants including glow in the dark Cheer, glittery Goodluck from Entertainment Earth, and flocked Grumpy at Toys R Us. The bears will also be popping up for special partnerships like Cream Nation ice cream, and Freshly Picked Baby Moccasins. With seven months left, there’s no telling where the bears will turn up next. To make sure you don’t miss a beat, keep up with everything Care Bears by following their social media accounts on Facebook, Twitter, and Instagram as well as visiting their official Care-Bears.com website. While the enormity of the Care Bears success seems like enough to keep a company going, American Greetings hasn’t put all of it’s eggs into one cloud car. They’re also continuing their relaunch of another '80s property, Madballs. 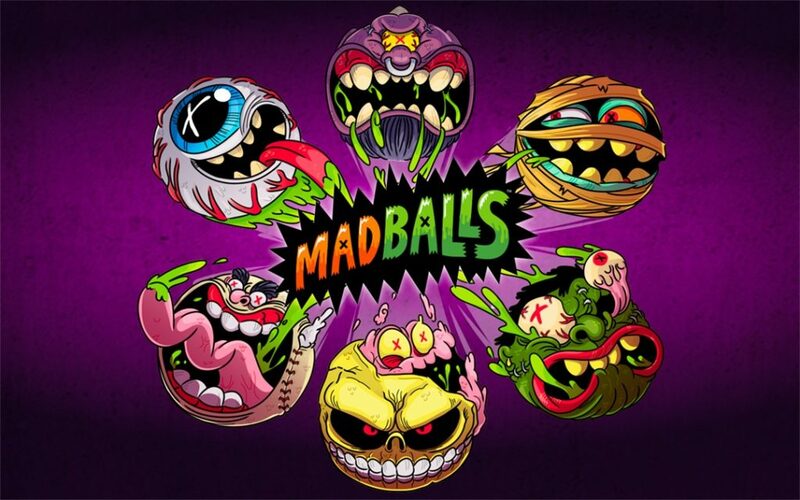 Now, while I remember Madballs, I must admit that the brand was always just outside my wheelhouse. 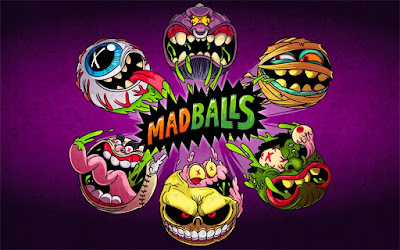 While the Care Bears were cute, cuddly, and colorful, the Madballs, were, well, the exact opposite. Geared more towards boys, they combined two things I, much to my parents dismay, really had no interest in - monsters and sports. They just were not my thing. However, as an adult, and an artist, I have developed a new appreciation for the brand. They’re actually quite clever, and really a lot of fun. There’s also a ton of detail that goes into the characters creepy, but (and this is probably sacrilegious) also kind of cute. They’re very well done. 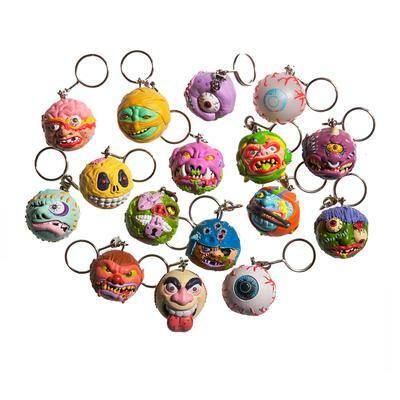 Not only are new Madballs on store shelves, but there are also new animated shorts, blind packs, keychains, and enamel pins. You can purchase Madballs products through Kid Robot and can watch their videos via their YouTube page. 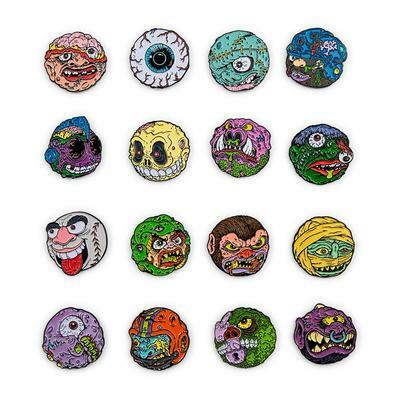 You can also visit the official Madballs.com website and check out the new Madballs Arcade app on Google Play and iTunes.